Halle Surface Design Collection. My inspiration for this collection is water and surf inspired. Collection is available for viewing and purchase on my website. My inspiration for the Halle Collection: Water and surf inspired. Motion and reflection. Trends: Modern geos. Photo real images. Hand painted. Woven. 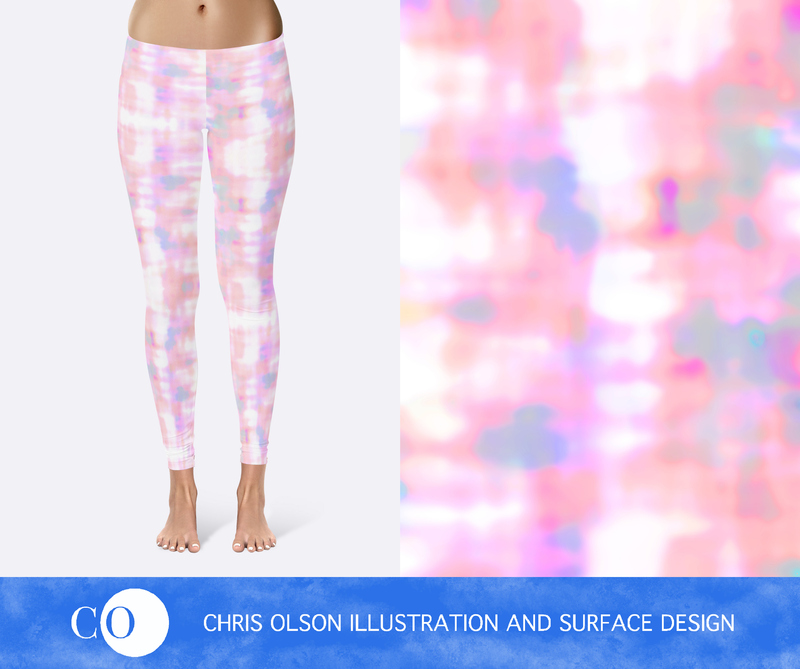 Patterns featured here include 1) Surf; 2) Talia; 3) Opal pattern on leggings; 4) Opal; 5) Sapphire; 6) Underwater. This collection includes more patterns that are included on my website in the Client Login section. If you are a Licensee or Manufacturer, the entire Halle Collection is available for viewing and purchase on my portfolio website at http://chriscocomedia.com. To gain access to this password protected gallery, I invite you to visit my Client Login page and request access to Chris Olson's online portfolio.